Followers of the Jewish religion worship one God. Jews trace their monotheistic beliefs to Abraham. Abraham's son Isaac became known as Israel, and his descendents were called Israelites. Modern-day Jews are divided into three main groups: Orthodox, Conservative and Reformed Jews, but each Jew holds the same basic beliefs. 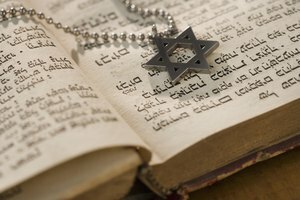 Devotees of Judaism believe in one all-powerful God who made a legally binding promise with the Jewish people. God's promise in the covenant was to bless the Jewish people with their own homeland and with special protection. But the Jews were required to obey God's laws and worship him alone. 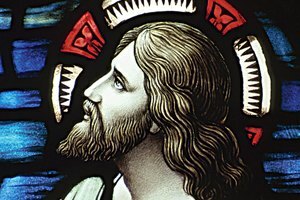 The Ten Commandments, given directly from God to the Jewish people through Moses on Mount Sinai, give requirements about how man should act in relation to God and to other people. 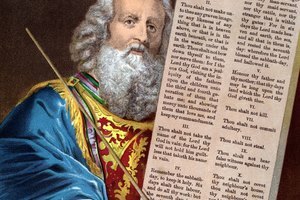 Most of the commandments proscribe certain behaviors, such as stealing, committing adultery and making false images to worship. Three of the commandments require certain behaviors: Worship only the one true God, observe the Sabbath Day and keep it holy, and honor your parents. 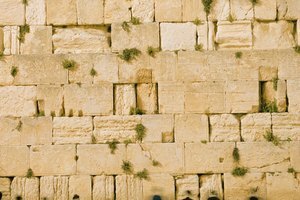 Followers of Judaism believe that the messiah will bring the Jews back to the promised land when the temple is rebuilt, and the world will be at peace. The anointed one will be a descendant of King David and will fulfill the biblical prophecy. 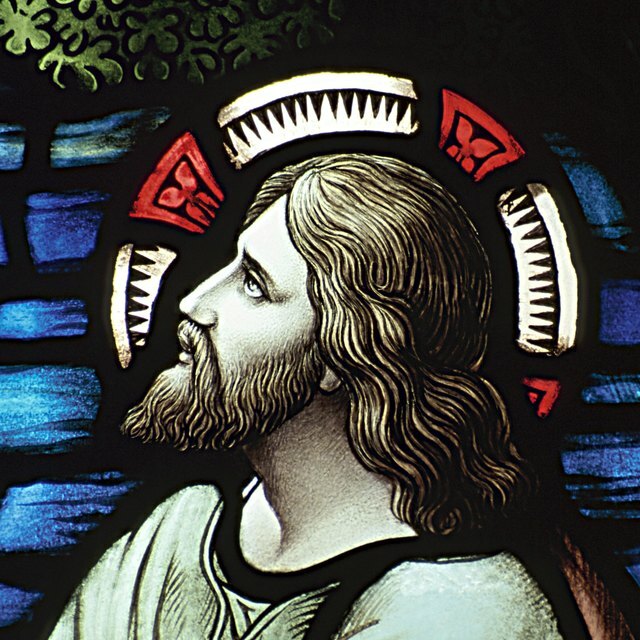 Jews do not believe that Jesus Christ was the promised messiah because he did not bring peace to the world. 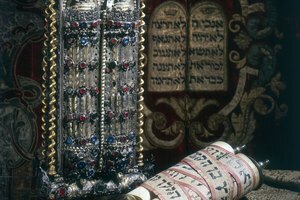 The main holy book of the Jewish religion is the torah. It consists of the Pentateuch, the Five Books of Moses: Genesis, Exodus, Leviticus, Numbers and Deuteronomy. A section of the Torah is read at religious services each week. 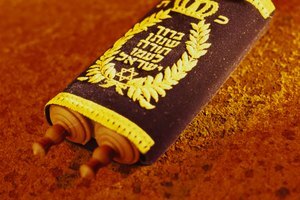 Once the entire torah has been read, the readings begin anew. Additional sacred writings include the Nev'im, or Prophets; the Ki'tuvim, the psalms and other writings; and the Talmud. The Talmud records the discussions between rabbis as they interpreted the Talmud 2,000 years ago. Later rabbinical discussions of the torah were the Shulkhan Arukh and Mishnah Torah. The Shulkhan Arukh was compiled in the 1500s by Rabbi Joseph Caro. The Jewish Virtual Library says that it is still the standard legal code of Judaism. The Mishnah Torah was compiled in the 1170s by Moses Maimonides, a prominent Jewish scholar. His Mishnah Torah served as a guide to Jewish law. Gabriel, Brian. "Main Beliefs of the Jewish Religion." Synonym, https://classroom.synonym.com/main-beliefs-of-the-jewish-religion-12086130.html. 29 September 2017.